Asset Performance Networks (AP-Networks) is the trusted leader for improving asset and operational performance in petroleum, chemical, and energy companies worldwide. It works with its client’s most critical assets—their people, processes, and production facilities—in order to help them achieve safe, competitive, predictable outcomes on their high-risk events—namely capital projects and turnarounds. AP-Networks is the indispensable trusted partner to global petroleum, chemical, and energy companies that aim to optimize their assets’ performance and maximize operational efficiency. It achieves its mission by infusing strategic innovation, proven expertise, actionable insights, and unparalleled business intelligence analytics into a unique, winning formula for success. It leverages its databases, benchmarks, Software as a Service (SaaS) engines, and its industry-recognized consulting expertise to ensure that global clients mitigate, manage, and control high-risk events. Earlier this year, Asset Performance Networks (AP-Networks) selected and engaged the Borenstein Group, its trusted branding partner, to create a new look and feel that will reflect the firm’s international expansion and the addition of business intelligence tools that differentiates it worldwide. 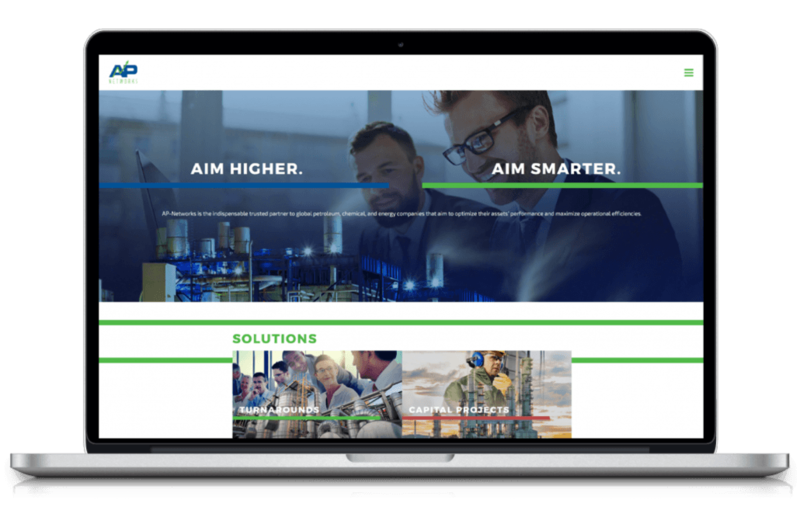 With the help of the Borenstein Group, who worked in close collaboration with the corporate management team and principals, AP-Networks unveiled a redesigned www.AP-Networks.com website highlighting the company’s mission to help clients “Aim Higher” and “Aim Smarter” to optimize their assets’ performance and maximize operational efficiency. The website launch was the culmination of a marketing communications effort that extended to the overhaul of the company’s print materials from corporate marketing collateral to case studies and corporate trade show booth, to a new corporate capabilities video, communicating the new brand across multi-channel marketing media. 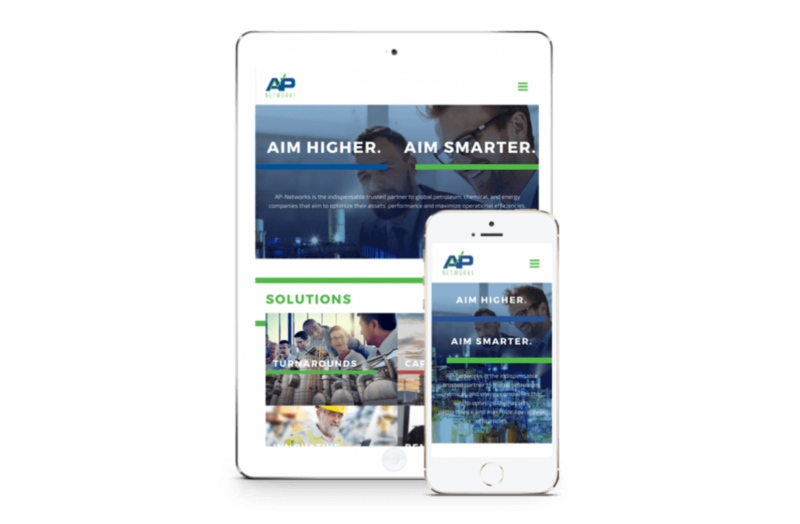 AP-Networks unveiled a redesigned www.AP-Networks.com website highlighting the company’s mission to help clients “Aim Higher” and “Aim Smarter” to optimize their assets’ performance and maximize operational efficiency. The website launch was the culmination of a design effort that extended to the company’s print materials as well. These efforts, have earned AP-Networks a “Best in Energy Sector” Davey Award for Digital Brand Development. But don’t take our agency’s word for it, watch AP-Networks executive principals describe the experience of working with the Borenstein Group.